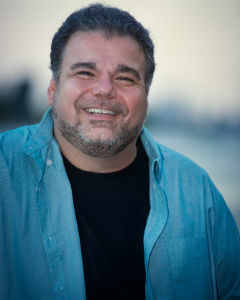 Brooklyn born Brian Scolaro is an actor and stand-up comedian. He got his start at the The Comedy Cellar in NYC, and he is most known for his appearances on “CONAN”, his half hour Comedy Central special “COMEDY CENTRAL PRESENTS: BRIAN SCOLARO”, as Doug on TBS’s “SULLIVAN AND SON”, and as Stuart on FOX’s “STACKED”. Brian has appeared on “DEXTER”, “MAD MEN”, “BONES”, “CASTLE”, “GREY’S ANATOMY,” “THE MIDDLE”, “SUPERIOR DONUTS”, “I’M DYING UP HERE”, “SHAMELESS”, “A MILLION LITTLE THINGS”, “ALONE TOGETHER”, “HARRY’S LAW,” “MEN OF A CERTAIN AGE”, “THE EXES”, “GIRL MEETS WORLD”, “TRUTH BE TOLD” and has also had recurring roles on “KROLL SHOW”, “LIFE AND TIMES OF TIM” and “WIZARDS OF WAVERLY PLACE”; as well as a regular role as Gordon on NBC’s “THREE SISTERS”.